In what many of you may find an odd twist, I am about to reveal one of what my eight-year-old nephew would refer to as my "deep dark secrets": I have never had spiked egg nog. Why is that surprising or possibly a deep dark secret? Well, I have a publicly documented love of egg nog. Also, one of the many hats I wear is that of a bartender. With both of those facts in mind, you would think that somewhere along the line I would have had the grownup version of egg nog. But nooooooooo. And I'm not exactly making the full leap here, either. Why not? 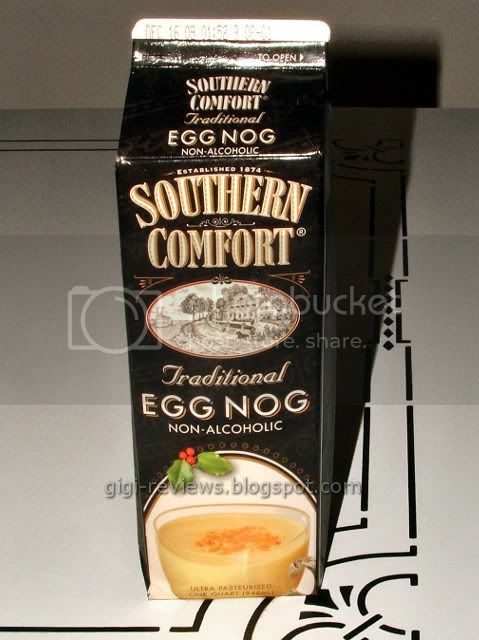 Because Southern Comfort Egg Nog, while flavored with the essence of Southern Comfort liqueur, is non-alcoholic. The scent of the egg nog is spicy. There is definitely clove and vanilla. And a little cinnamon. It smells great. It's a super-thick drink, which is nice, as I love egg nog when it's extra thick. The flavor is very creamy...again, with plenty of clove, especially in the beginning. Then the nutmeg that you would expect in egg nog kicks in. 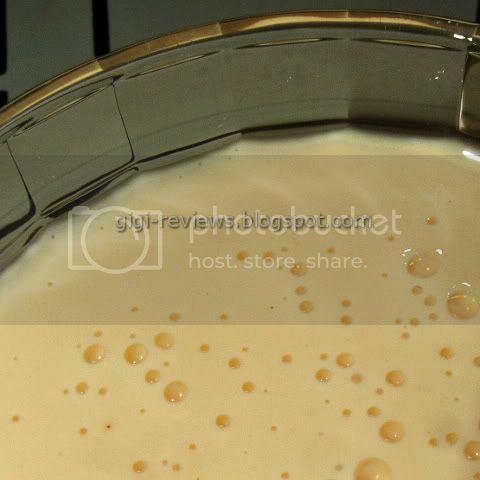 And I love the base, it has a fantastic liquid custard taste. I've had Southern Comfort on more than one occasion...you know, purely for professional purposes, of course. But while there was definitely a little extra somethin' somethin' to this egg nog, I don't know that if I didn't see Southern Comfort on the label that I would have guessed that's what it was supposed to be. And you know what? I don't care! This is so good that it could be thickened with reindeer snot and I would still drink it (probably in embarrassingly large amounts). It really is just that delicious. You want this. You really do. I agree completely with your review of SoCo eggnog. I started drinking it last year and it is a huge change from the watered down stuff that everyone else is putting out now. This is a definite must drink for an nog lovers! Good thing their nog isn't available year-round. Otherwise my svelte 123 lb frame would balloon to 250 lb. or better. I don't taint mine with booze either and I'm definitely a stout lover. Is the store-bought eggnog fairly sweet? I prefer very little sugar. Thanks. I love this egg nog. I use it to make cupcakes during the holiday season. The only problem is people still request the cupcakes after the eggnog is gone. Also, I really wish I could get it more often then just the Christmas Season. It is my favorite!